This non-native invasive perennial has taken over verges and hedgerows across the UK. 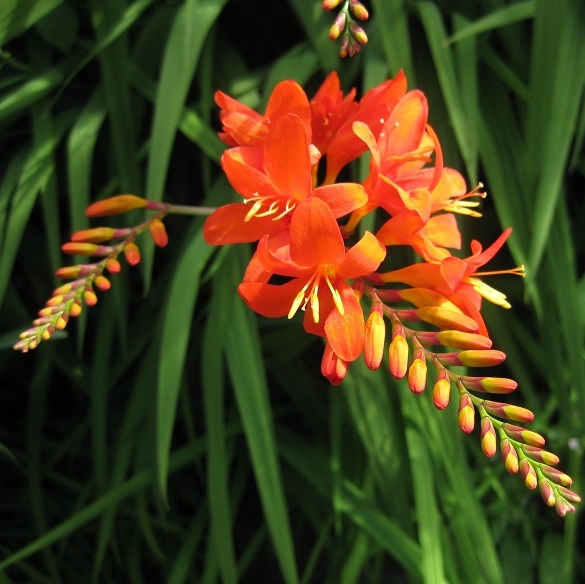 Bred in France from South African origins, Montbretia was introduced into the UK in the 1880s. 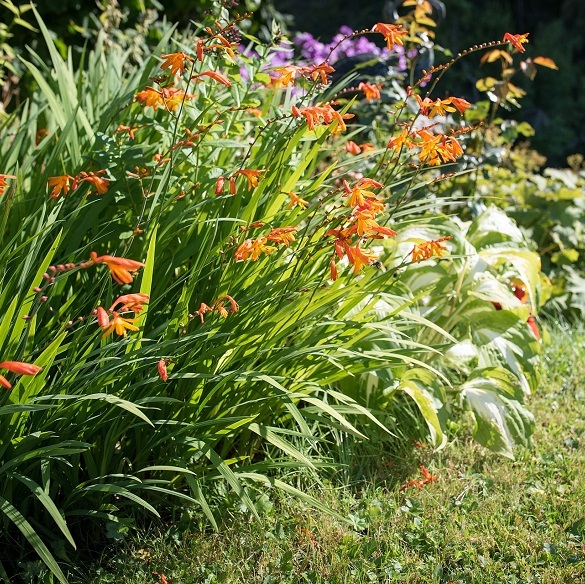 The Crocosmia plant family is now a firm garden favourite, however this particular variety escaped from domestic gardens and proceeded to colonise roadsides, hedgerows, river banks and cliff tops. It is now widespread across the UK and Ireland, particularly in western regions. 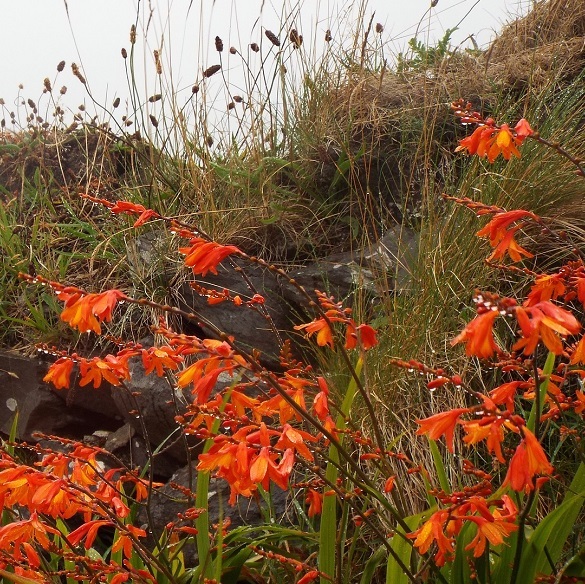 Montbretia is listed under Schedule 9 to the Wildlife and Countryside Act 1981 with respect to England and Wales. As such, it is an offence to plant or otherwise allow this species to grow in the wild - yet is is still widely available to buy! Plants are mainly spread via the rhizome and underground corms, although viable seeds can be produced. The plants are quick to establish and easily out-compete native flora. The species is easily identified in the summer months by the distinctive flowers. Winter identification is a little harder, and can easily be confused with iris.